Israel Gaza investigations: Beit Hanoun and beach deaths will be examined, report says. 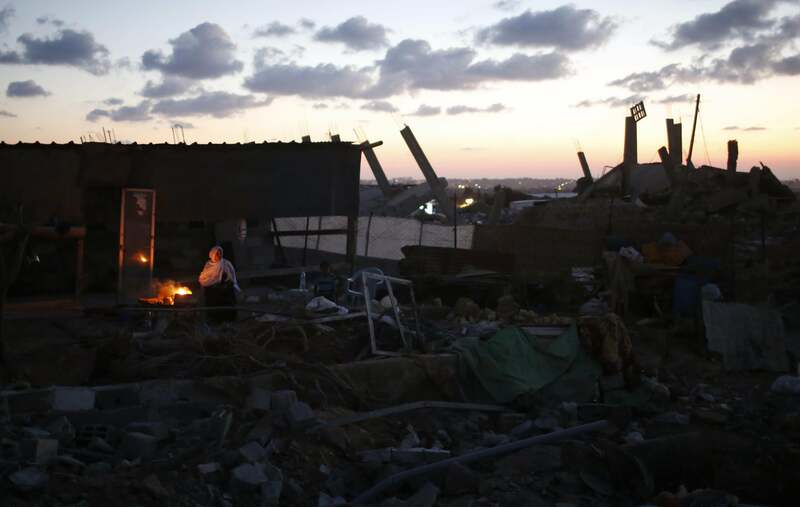 A makeshift shelter in Gaza on Sept. 8, 2014. The most prominent of the five cases have already drawn international censure: an Israeli strike that resulted in the death of 16 civilians sheltering at a United Nations school in Beit Hanoun and the killing of four boys on a Gaza beach. The three other cases involve a Palestinian teenager, Ahmed Abu Raida, who said he was mistreated while in detention and used for military purposes, with the decision to investigate largely based on the youth’s allegations as reported in The New York Times, according to the military official; a Palestinian woman who was shot to death even though she had coordinated her movements in advance with Israeli forces; and a soldier who is alleged to have stolen money from a private home while operating in Gaza. The United Nations Human Rights Council is already investigating Israel’s strikes in Gaza, while United Nations Secretary General Ban Ki-moon says that strikes against U.N.-operated refugee schools may be investigated separately. Several journalists witnessed the shelling of the children on the Gaza City beach, who were playing hide-and-seek before they were killed. An Israeli representative initially said that the deaths at the Beit Hanoun school may have been caused by errant Hamas rockets, then later claimed that the school had only been hit by one Israeli shell that could not have caused any deaths.